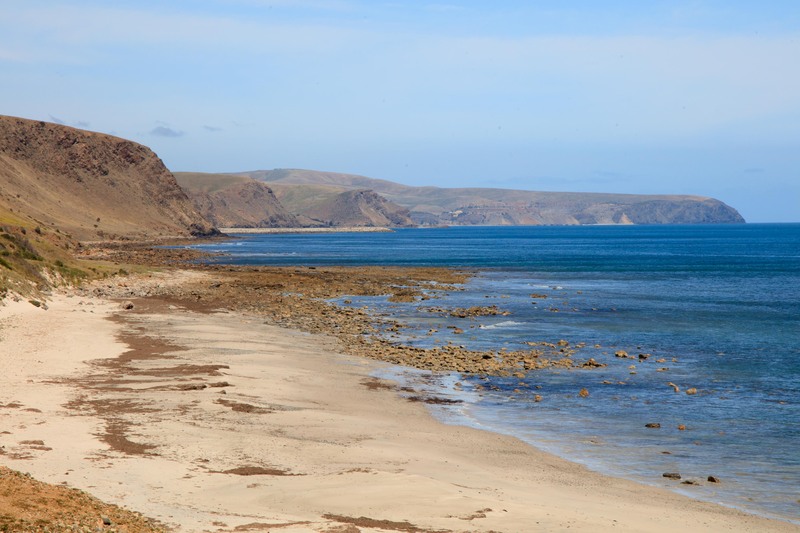 We left Adelaide southbound down the Fleurieu Peninsula. The Mount Lofty Range runs down the centre with vineyards along the roadside. 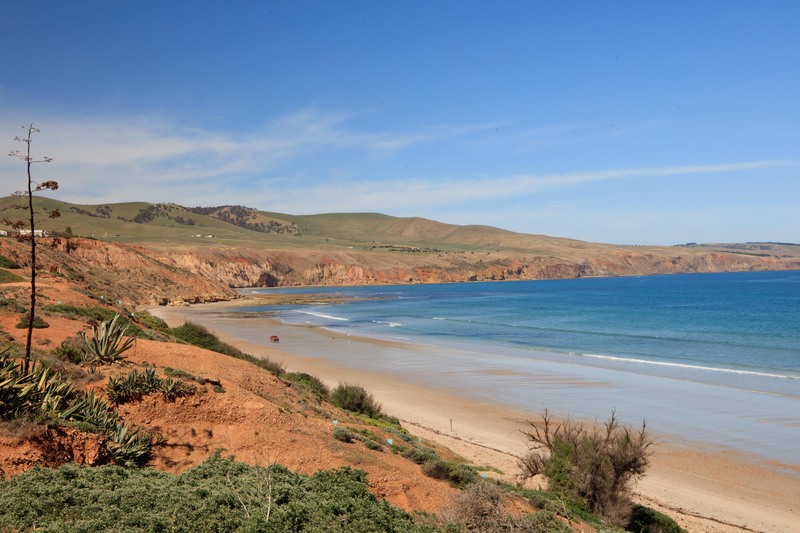 We passed McLaren Vale and then took a detour to Sellick Beach where we grabbed a coffee from the store that sold everything. The beach was quite busy with people walking, driving and cycling as the tide was out. 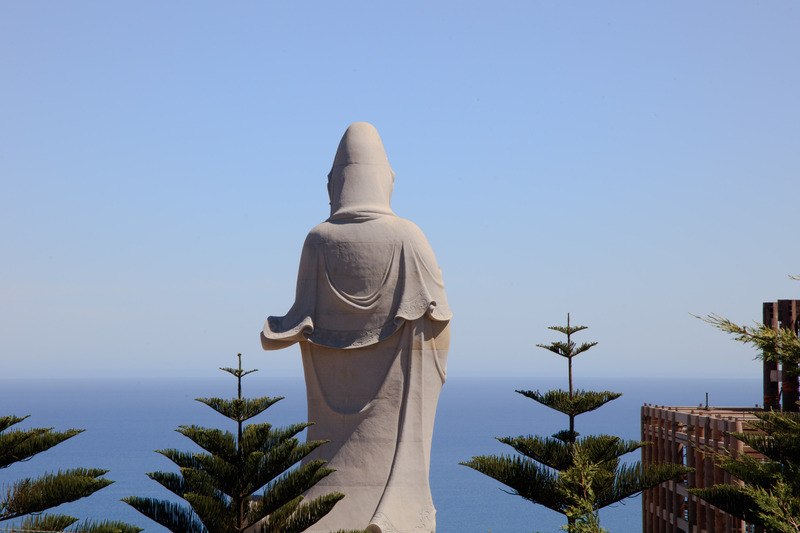 A little further down the coast is the Nan Hai Pu Tuo Buddhist Temple with a large statue. There was a major building project underway, I don’t know whether they are extending the temple or building retreat accommodation. Before we reached Cape Jervis to catch the ferry, we stopped at the Hobart Memorial Lookout. 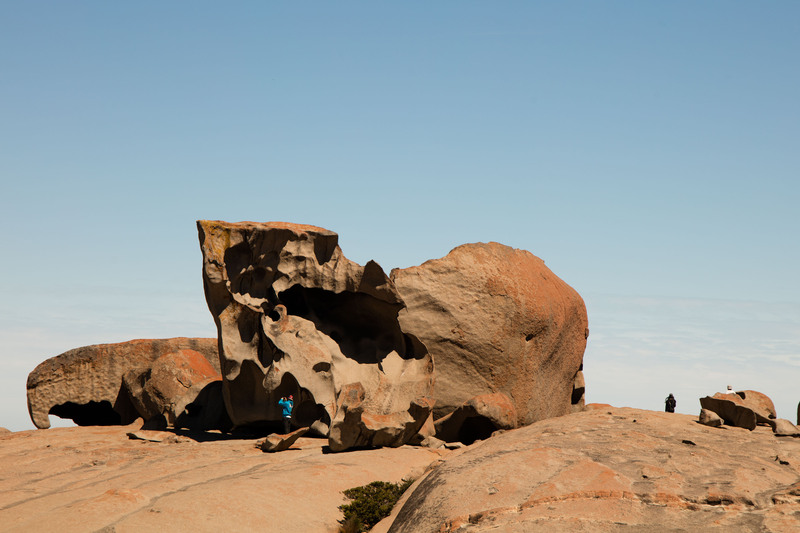 Part of the 1200km Heysen Trail runs from Cape Jervis to Victor Harbor (70km). To do this section you need to be self-reliant and only camp at approved sites. I noticed from the map that there is a Balquhidder River and campsite so someone from Perthshire has been round here. 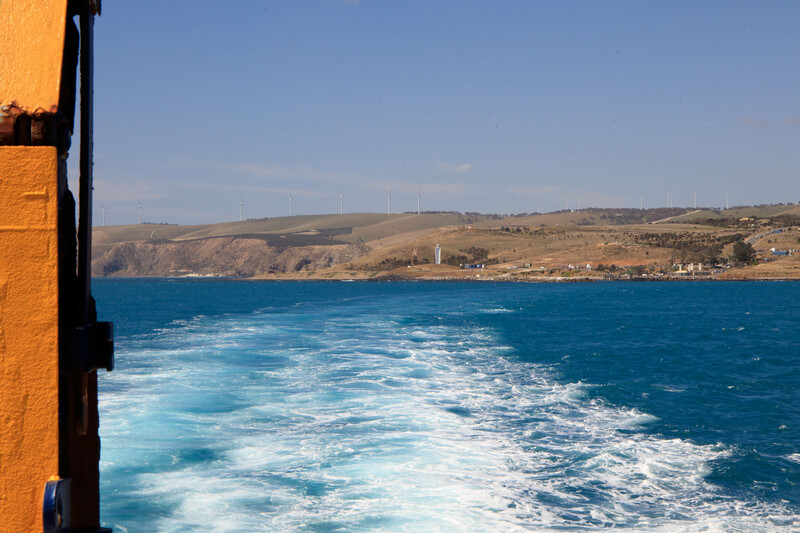 The ferry journey across Backstairs Passage to Kangaroo Island only takes 45 minutes, so we were soon on our way to our accommodation in Emu Bay. We passed a sign to Brownlow, so I could have been almost home. Our cabin had distant views of Emu Bay so the first thing we did the next morning was to go for a walk on the 5km of white sand. 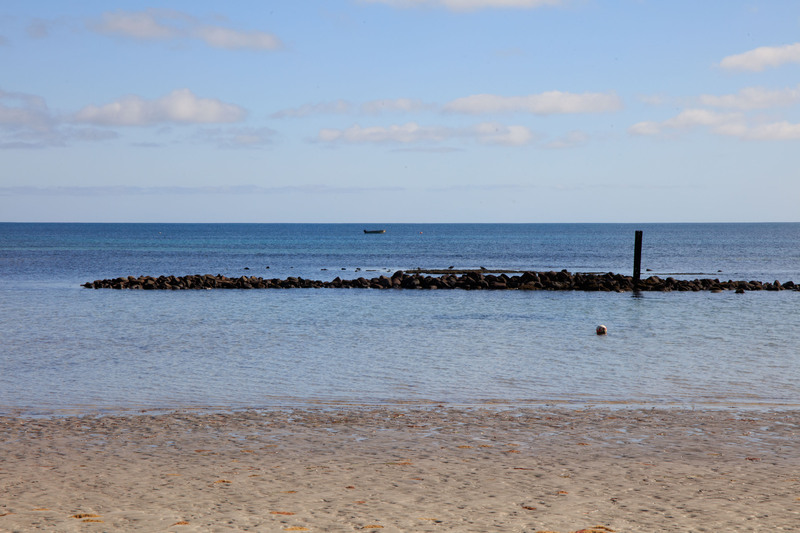 Some of the area above the high tide mark was fenced off to protect the nesting plovers. 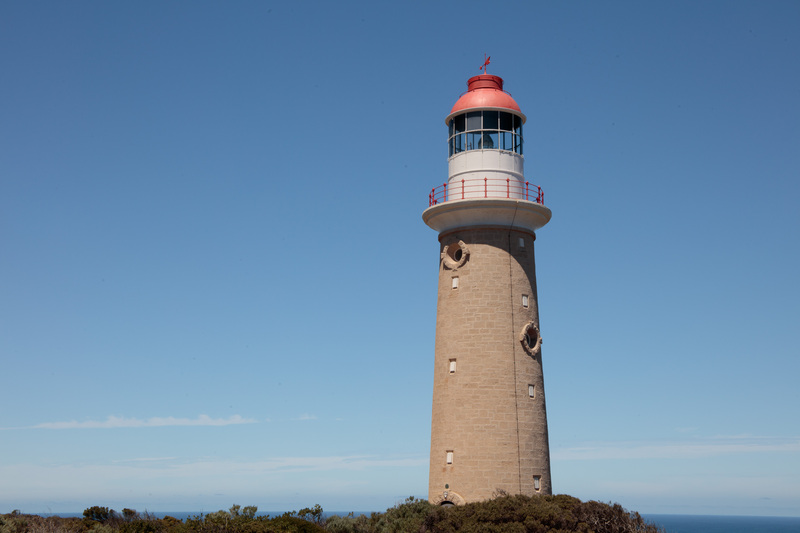 The next part of our exploration of Kangaroo Island, the third largest island in Australia, was to take the South Coast Road. There was a cycling event on and most were travelling in the opposite direction to us. 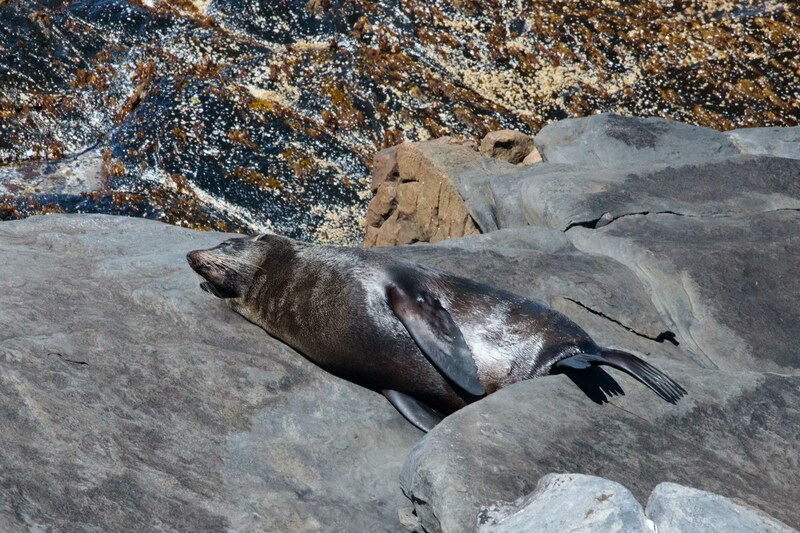 We stopped for a coffee at the junction for Seal Bay and two cyclists were in the café. 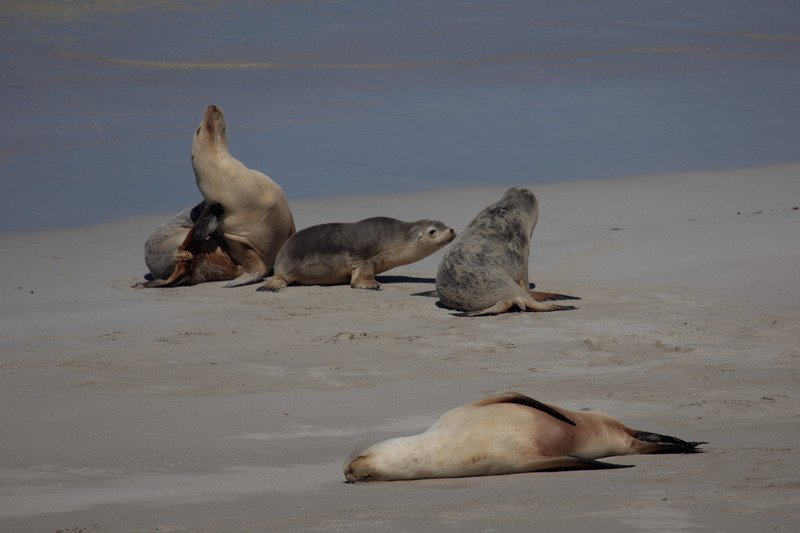 They told us that they were all members of ‘Cycling South Australia’ and were on the last of seven days on the island. 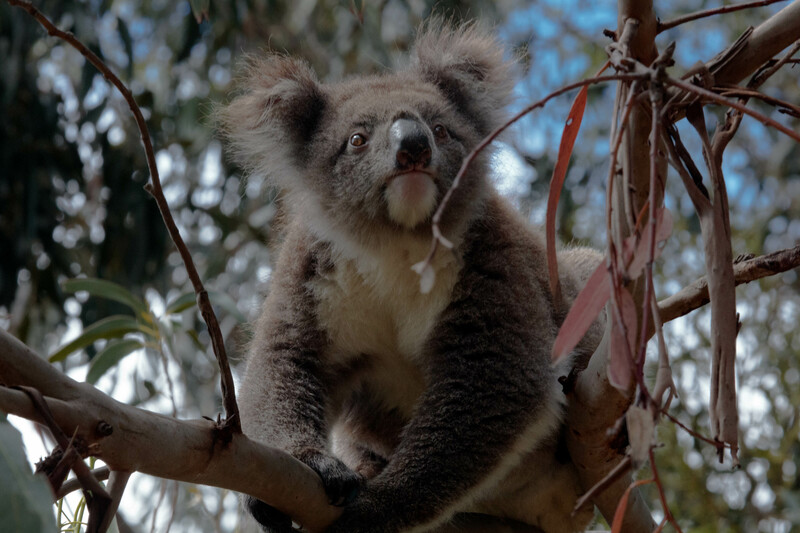 Just as we were leaving I noticed Kylie the local koala who lives in the trees around the café. I saw another in the trees by the road going down to the bay. 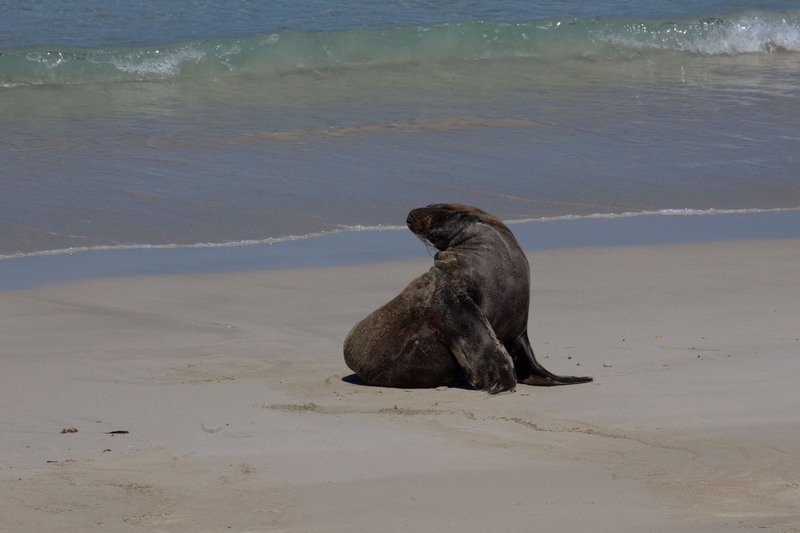 Down at Seal Bay Conservation Area is a Australian Sea Lion colony of around 100 animals. About 40 were on the beach when we visited. 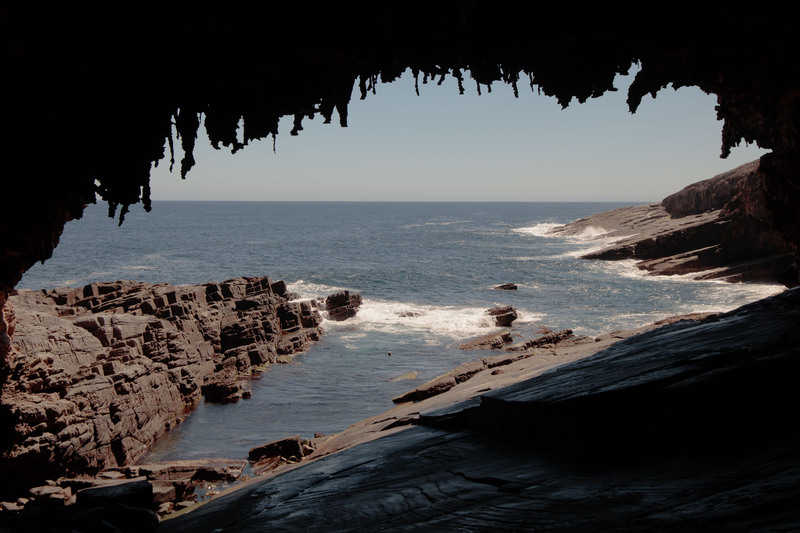 and a coastal walk to Admirals Arch which has stalactites hanging from the roof and where there is a fur seal colony. 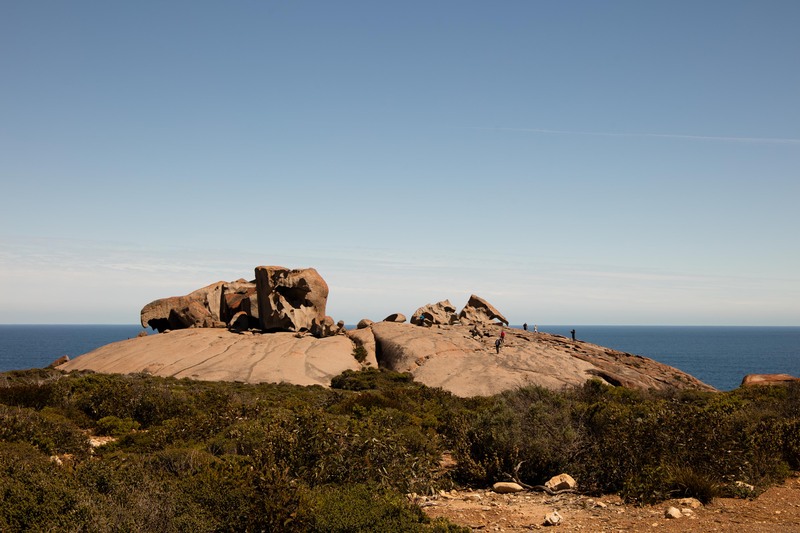 Back on the road there is a turnoff to Remarkable Rocks: granite rocks that have been shaped by the weather and sit 75m above the ocean. The orange colour comes from lichens growing on them. The National Park has several trails, campgrounds, more remote lighthouses and some other accommodation. It covers most of the western end of the island and the roads are unsealed. We would have liked to explore more but completed our circuit of the island so that we could get organised for our departure the next day. We covered 174 miles today. Our trip total is now 9,871. Around Australia: sampling a little of Adelaide.